The Diploma Planning Institute guides district and school administrators toward building a foundational dropout prevention plan based on researched and proven strategies. Administrators work directly with national field experts to utilize local data and direct knowledge of their students to design a customized plan for their school system. By implementing a strategic, systemic plan and streamlining their vision, schools can minimize the frustration and futility of incohesive efforts. After the initial DPI training, leaders can network with colleagues in similar school settings from across the country and gain access to the nation’s largest resource of information, research, and expertise on dropout prevention. Diploma Planning Institutes are well-suited for multi school districts or offering by regional service agencies and provide long-term, follow-up support for local teams that are responsible for implementation and outcomes. The Diploma Planning Institute is an excellent grant-funded initiative which builds research-based local support for other grant-funded interventions. 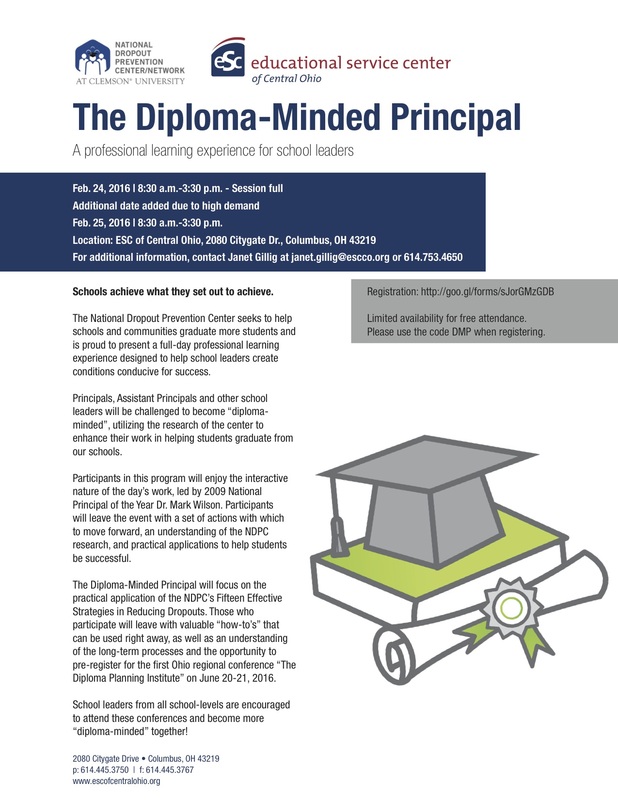 Interested in the Diploma Planning Institute? Contact Dr. Sandy Addis at haddis@dropoutprevention.org with the subject line “Diploma Planning Institute” or give the National Dropout Prevention Center a call at 864-642-6372 for more information about this service.